Late of New Farm. 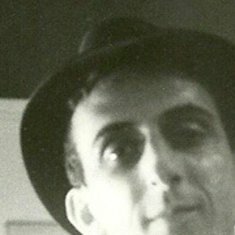 Gerald passed away unexpectedly at his home, at 61 years of age. Gerald leaves behind his loving sister Susan and brother-in-law Thomas. His adoring niece Katie and nephew-in-law Kristian as well as his great nephew and niece, Augustus and Elizabeth. I shared several flats with Gerry from 81-83 and was friends with him from 1980. He was a great guy and something of a mentor to me regarding music and literature for which I am grateful. He embraced technology early. I remember him walking around with a radio headset in 81 walking around New Farm park. At the time it looked thoroughly science fiction. He was very well-informed in just about everything, from politics to obscure science fiction novels. He really loved the Brisbane bands of the late 70's and early 80's. 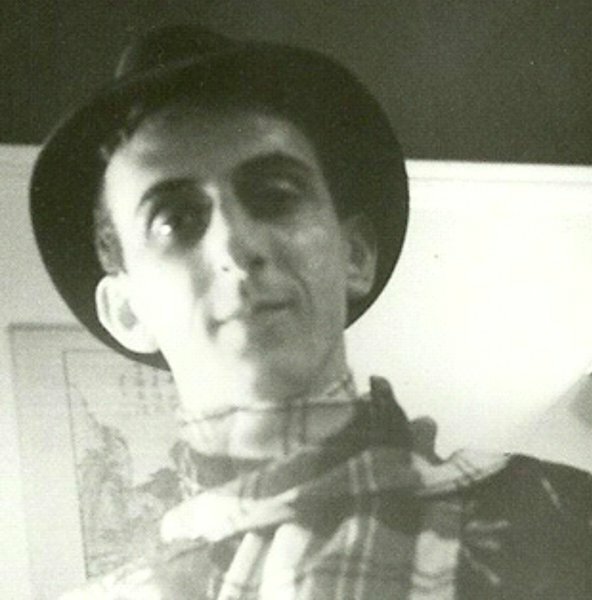 My favourite GoBetweens recording is one of Karen that Gerry recorded at a practice with Bruce Anton on drums. There was the most appreciative clapping at the end even if the it was an audience of one. He especially loved Xero and the Birds of Tin. He loved his indoor plants, his cats, his few but close friends and his family. 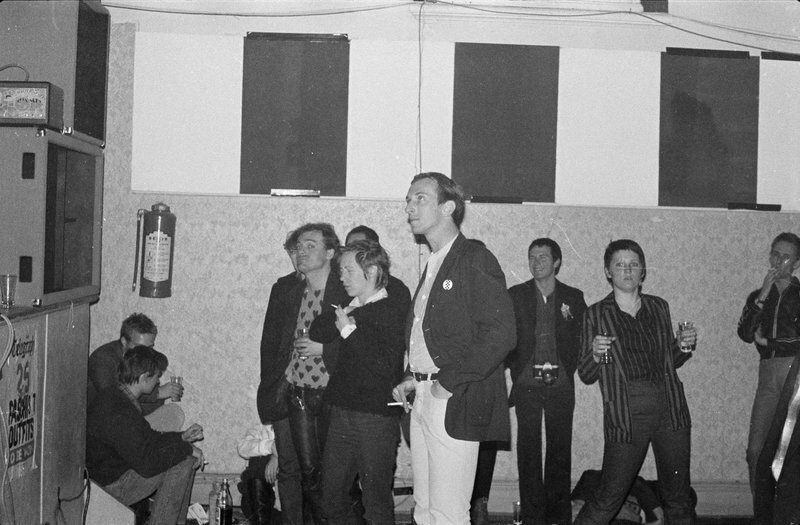 Gerry, centre of the scene, at Baroona Hall, watching (probably) Zero, my old band, in the winter of 1980. Picture by Paul O'Brien, courtesy of the State Library of Queensland. So sorry to hear about Gerry. 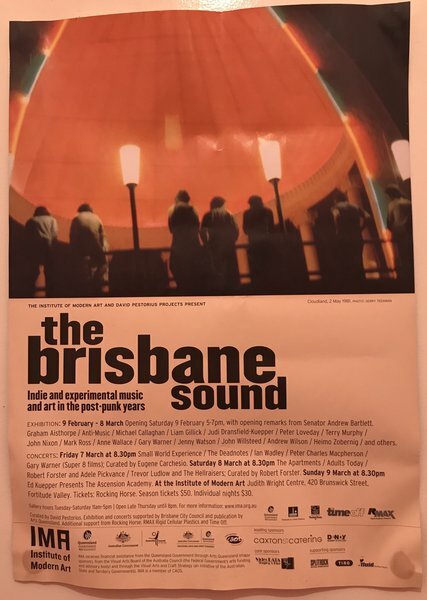 Forty years ago, Gerry was a great supporter of the Brisbane music scene. He took wonderful photos, recorded gigs, wrote and talked music. He was passionate and articulate and at the centre of a wonderfully creative period in Brisbane’s cultural history. Some of his work has been recognised, but it is a great shame that he won’t be around for a more fulsome recognition of his contribution. He was a friend for whom I held a true fondness, and I wish we could see one another again. JW. So sad to hear of Gerry’s passing. I worked with him for a few years, and I always enjoyed his company in the office. He had a good heart, a sharp wit and an exceptional knowledge of music. He always spoke so lovingly of his family; I am sure they will miss him greatly. When I worked with Gerry, so many years ago, we spent a lot of time talking music. One day he gave me this poster, which featured a photo that he took. It has hung proudly in my home ever since. I will always think fondly of Gerry.